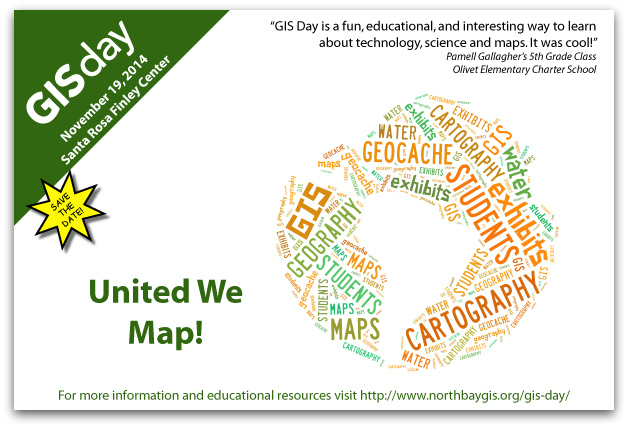 Register for GIS Day 2014 for a chance to win a "It's a GIANT world..." t-shirt! 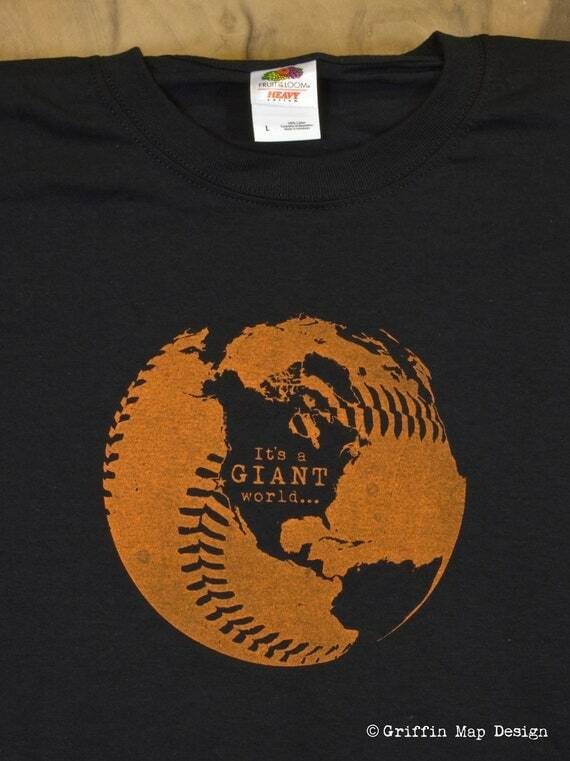 In honor of the Giant's World Series victory the North Bay GIS User Group has teamed up with Griffin Map Design to give you a chance to win this t-shirt. To qualify just register by November 4th using the below link. *Registration is not required to attend this event, but it does help us make this the best event possible. On Friday the Sonoma County Economic Development Board released an interactive map showing all the unique craft beverages Sonoma County has to offer! This simple mapping application uses a template from Esri's story map page and an ArcGIS Online map. You can view and interact with the map at http://edb.sonoma-county.org/storymaps/beermap/. The Press Democrat's Beer Country blog has a nice write up about it at http://beer.blogs.pressdemocrat.com.